Hassan Sadeghi and Fatemeh Mosanna detained in Raja'i Shahr and Evin prisons, respectively. 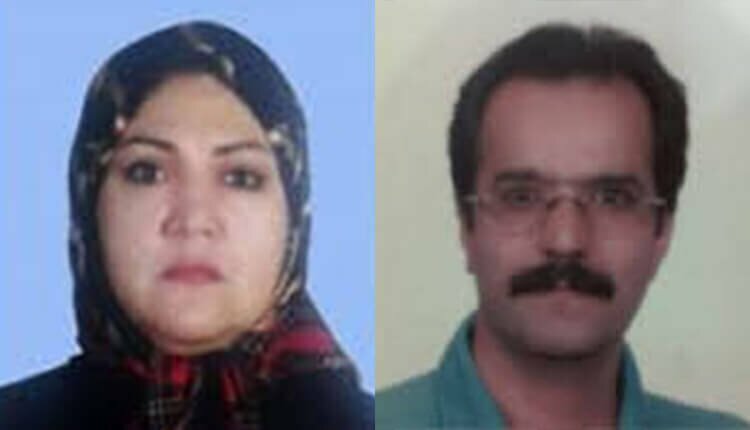 Iranian regime’s agencies has confiscated the house belonging to political prisoners Hassan Sadeghi and his imprisoned wife Fatemeh Mosanna detained in Raja’i Shahr and Evin prisons, respectively. They have received notice that their family home and only remaining property will be confiscated by the Iranian government. Earlier, the same agency seized the business belonging to the couple. Iman Sadeghi added that his parents suffer from various illnesses and need to receive medical care, but judicial authorities do not cooperate and do not allow his parents to go to hospital while he has already made the arrangement at his own expense. Fatemeh Mosanna and Hassan Sadeghi were supporters of the People’s Mojahedin Organization of Iran (PMOI/MEK) before they get married and were both imprisoned in the 1980s. Hassan Sadeghi was only 15 when he was arrested and imprisoned for six years. Fatemeh Mosanna, 13, and her mother, Ferdows Maboubi, were arrested and imprisoned for two and four years. Three brothers of Fatemeh Mosanna called Ali, Mostafa and Morteza, as well as her sister-in-law were sentenced to death and executed shortly after. Ali Mosanna was executed while his wife and two daughters aged 4 and 6 were in prison. Three decades later, Hassan Sadeghi and his wife Fatemeh Mosanna have been serving 15-year prison sentences after being arrested in January 2013 for allegedly organizing a mourning ceremony for Hassan Sadeghi’s father Gholamhossein Sadeghi, who had died at Camp Liberty, Iraq, where the PMOI members resided. Iranian law allows the state to confiscate properties under certain conditions, leaving citizens with no means of legal recourse.